You’ve found the car you want, and you’re ready to close the deal – except for one thing – you’re concerned about insurance costs. And with recent research from JP Morgan and Taylor Fry suggesting a 3% increase in insurance premiums over coming months, it’s a justified concern – especially after prices increased 6% from 2014-2015. Not to worry though, here are 9 tips to save on your insurance. 1. Nominate the right drivers on the policy: Adding a more experienced, secondary driver can lower the cost of your premium, provided that driver has a no-claims history and good rating. 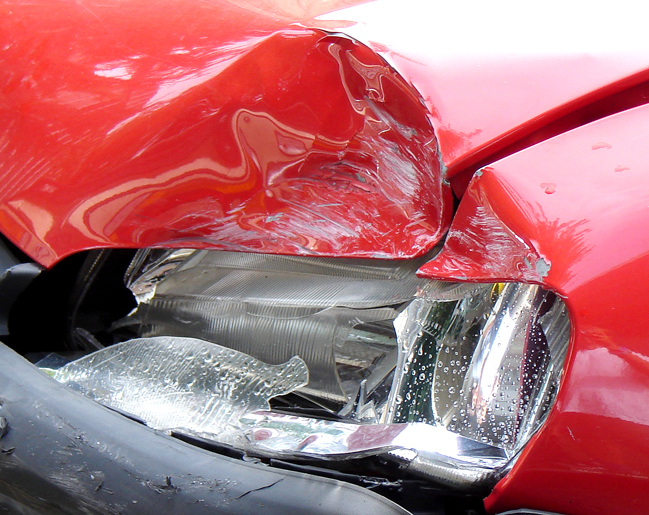 Younger drivers however, are viewed as an insurance liability. While some niche insurers can offer them better options, generally their inclusion raises prices. 2. Use an insurer that meets your needs: Whether you: drive low kilometres; own a vintage car; are a young driver; or live in a certain region – no one insurer suits all. Some operate: on a kilometre basis; specialising in classic cars; by pricing better for certain locations; or by offering discounts to those restricting under 25’s from driving. 3. Research: Before renewing or switching policy, shop around – comparison sites such as iSelect or Compare the Market offer easy comparisons. With loyalty bonuses no longer as common as before, and ratings transfers more widespread, it’s easier to change providers and save hundreds. Failing that, ask about promotions or for a better deal! Though do be wary of any promotion’s duration – premiums often increase thereafter. 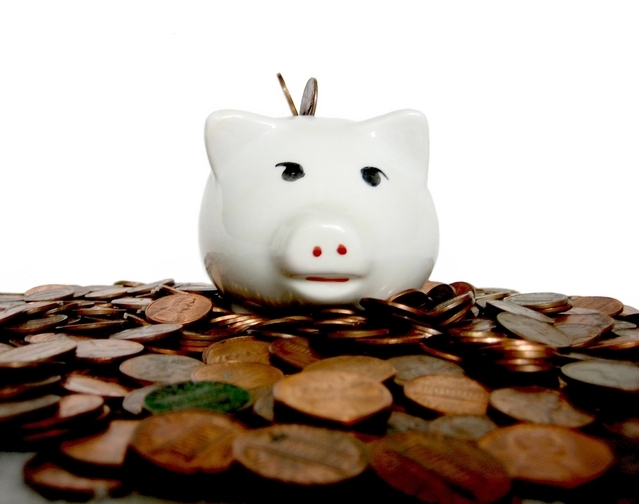 Take advantage of any promotions or bundling opportunities to save on your premium. 5. Consider your coverage: If you own a newer car, comprehensive is more fitting whereas older cars are more suited to third-party property or third-party fire and theft insurance. Increasing your excess or omitting coverage for items covered elsewhere can reduce your premium. Furthermore, insuring your vehicle prior to purchase, and ensuring coverage does not lapse, will place you in good stead. Items stolen from a car generally aren’t covered, while some extras (roadside assistance) can be sourced externally. 6. 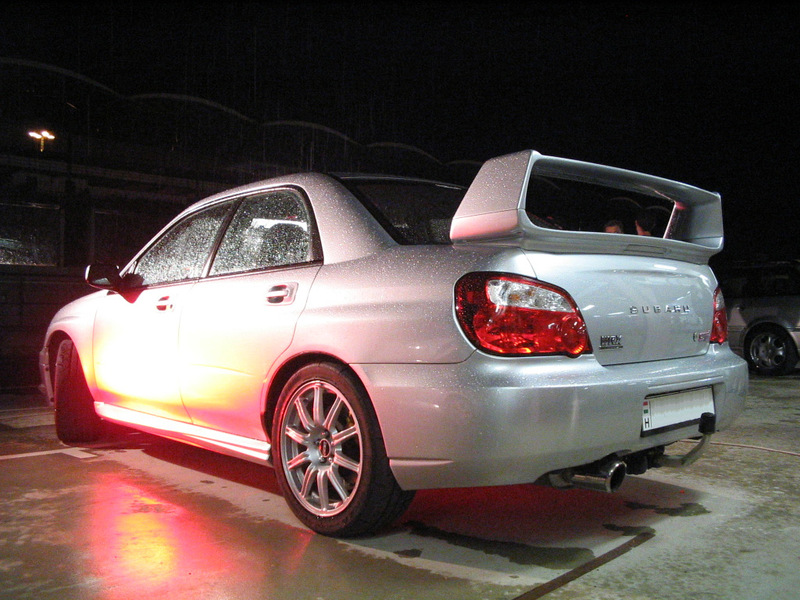 Alter the car’s value: Depending on the insurer, adjusting the policy to a lower (agreed) value can help. Market value is typically based on the insurer’s findings, so if you need to dispute this appraisal, source your own quotes and provide good maintenance records. 7. Maintain a clean driving history: Your insurance rating determines the premium you pay – some insurers have a no-claims discount, but incidents drive up prices – even if the car was driven by a friend, and potentially if you weren’t at fault. Some insurers may wave the first at-fault incident but this is rare. Even incidents where you weren’t at fault can push up the price of your premium. Read your policy carefully. 8. Maintain accurate details: While some may be tempted to omit details on past claims or change info on the car’s storage, should a claim arise, insurers generally probe further into your details and you risk forfeiting all your coverage – don’t do it! 9. Read the policy: Not only do exclusions vary (unroadworthy/modified vehicles; non-covered drivers; incidents involving drugs/alcohol; etc.) but there are considerable differences in coverage to consider. When ‘Choice’ reviewed insurance policies last month, it found RACV, NRMA, SGIC, SGIO charge drivers returning from license suspension a higher excess as opposed to any increase in their premium – customers involved in incidents beyond their control however, cop a 13% increase. In contrast, AAMI charges previously suspended drivers up to 50% more for premiums, while Allianz doesn’t offer cover. Safety, Dollars, Speed versus Speed. NRMA Members talking about the effect of being pulled over by a police officer. “Speeding”. It’s seen as one of the greatest sins a person driving a car can commit. It’s a subject that divides communities, raising ire and bringing forth strenuously opposing views. But when is speeding speeding, when is it dangerous? In NSW there are freeways zoned at 110 kmh and one at 100 kmh. It’s not uncommon to see the majority of vehicles exceed, and comfortably, the 100 kmh mandated, but the flow seems to be fine at 110 kmh. Residential roads are zoned as 50 kmh. Certain roads see traffic at no less, and often, 70 kmh. Speeding on a freeway or highway like the Hume that joins Melbourne and Sydney certainly has the potential to see excessive speed for the conditions (note the caveat) cause problems but what about the humble residential road? At 50 kilometres per hour, it takes one second to cover 14 metres. At 70 kilometres per hour it takes one second to cover…wait for it…twenty metres. Think about that for (no pun intended) a second. At 70 kilometres per hour, you cover an extra six metres per second than you do at fifty. On a long, open sighted highway, not so much of an issue but when it’s a residential road, with cars parked on the road, with the potential for a car or a dog or a ball or a child to suddenly appear in front of you, that six metres per second (coupled with the reaction time plus a probably more distracted or inattentive driver) will suddenly become very important and make a hell of a difference. Sydney drivers are now used to seeing high visibility police cars in locations that aren’t readily visible to on coming drivers, yet: Seven out of ten (69 per cent) NRMA Members believe that a visible presence of police cars is the most effective way of tackling bad driver behaviour than other methods such as speed cameras. But: As part of ‘Operation Slowdown’ in NSW, a single Traffic and Highway Patrol vehicle operating on the F3 was able to issue 16 infringement notices in one hour to drivers of unregistered vehicles using automatic numberplate recognition units. Invariably, it’s presumed by the public that these are the cars that AREN’T highly visible, but the aforementioned non visible locations. It’s also an example that’s completely at odds with the wishes of members to have a more highly visible presence but also clashes with the statements presented by members that an interaction with the police has a higher and more longer lasting effect. Another statement: It remains vital that education campaigns are followed up with police enforcement to cement the experience. Advertising alone without police enforcement does not change behaviour. The fear of getting caught is dramatically reduced when a person has not experienced being pulled over and randomly breath tested, an activity that can be done whenever anyone is pulled over by a police car. Again, that interaction with the police is seen as more important. Consider a road that has a high school, a dead end road at that. Car and buses taking students to that school have to enter and they have to leave. Consider that a high percentage of drivers will travel at 70 kmh, not 50. It would appear that the logical thing to do is to place police vehicles in a position to monitor the speeds and enforce the laws pertaining to speed. The conundrum here is simple: high visibility policing without booking or low visibility with direct interaction? The former will slow the cars but only for the time the car is on site. The second will penalise the drivers and, according to the members feedback, have a more direct and longer lasting effect. It also begs the question of what is more effective for the mooted objective of the police and government, to reduce the road toll. Speed cameras are not seen as a popular alternative and the point to point cameras also. This statement possibly says a lot more than is realised about this objective: Only a limited portion of the NSW Police Force budget is focused on addressing road safety, so it is important that the money is used effectively. We’re told that speeding is dangerous. The caveat is excessive speed for the conditions. A long, flat, open highway is as safe as it can be until it becomes wet, fogged in, smoked in from a bushfire or has drivers travelling, under ideal conditions, below the limit for no apparent reason. A highway can be zoned at 110 kmh, with that velocity mandated to be utilised under the aforementioned ideal conditions. Some sections of road are signposted to warn of ice or snow and you’re warned to drive appropriately. But on a residential road there’s no such warning system, no such reinforcement of the law, apart from the 40 kmh school zone locations. Inexplicably, drivers are still being penalised for speeding in school zones. Unfortunately there’s no readily available information as to whether there are repeat offenders. Support for camera based methods relied on overt operation and whilst they were recognised as having an important road safety benefit, there was a high degree of scepticism about revenue raising. Some respondents reported no change in speeding behaviour as a result of the use of cameras and others reported more limited site-specific obedience. To sum up: it seems that people have a longer lasting effect after being physically dealt with by the police, that a higher visible presence from the police will in likelihood change driver behaviour but it doesn’t seem as if the two will meet and work together. It’s expected to see police on a highway but not so on a residential road when there’s a higher proportion, kilometre for kilometre, of excess speed. People would seem to equate a high visibility but non interactive police presence with a speed camera, and very quickly ignored. And an extra twenty kilometres per hour over the residential limit, six metres per second, has an increased stopping distance that could be vital if a child suddenly appears in front of you on a congested road. But this isn’t apparently seen to be nearly as dangerous as doing 120 in a 110 zone on a road and in an area that’s been specifically mandated to be that velocity. Geneva Motor Show: What’s New From Switzerland. Pagani have released an all new model of the tongue twistingingly named Huayra. Said to share no panels with the current model, the Huayra BC (BC coming from Pagani’s first ever customer, Benny Caiola), there’s very familiar styling to this road oriented supercar. With previous Pagani cars already garnering a reputation for performance and almost ostentatious interiors, the BC goes further in enhancing the performance record. Let’s start with the engine. Never shy on power, the twin turbo 6.0L V12 from AMG has been further fettled, including a new exhasut to provide less back pressure. Power has been upped by 66 kW to an astounding 588 kW and torque moved to a truly amazing 1000 Newton metres. With a diet, work on the aero and active driving aids plus recalibrating the shift points of the seven speed auto, it’s expected the 1218 kilogram machine will see 100 kilometres an hour in under three seconds. Pagai have also emphasised that the Huayra BC is more of road car without losing the predominantly track based aspect. Weight savings work has been performed on the suspension, which will add to the balance and handling of the already extremely competent chassis. It’s expected the new set up will weigh 25% less than the original Huarya’s suspension. Even the brake callipers from Italian masters Brembo to bite into the carbon ceramic discs and the wheels (20 and 21 inch diameter) have been lightened. Plus, Pagani will offer 19 and 20 inch diameter wheels, lightened Pirelli P Zero tyres and the ability to hit 2G in corners for buyers. To cope with those that have more expectations of their talent than reality actually has gifted them, Pagani will fit a track mode for the stability control system. Finally, the opulence level has been turned down from 11 in order to provide even further weight savings…not to mention the “oh my eyes, my eyes” sensation. Final figures will be released at the show. Fans of the now defunct Top Gear UK with JC, RH and JM, will be familiar with another odd name, Gumpert. 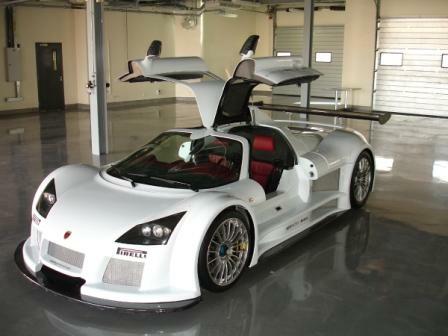 As exotic as the car seemed to be, it wasn’t enough to save the Gumpert name. However, the company was salvaged and renamed Apollo, in a nod to the former Gumpert Apollo vehicle (yes, my head is being done in too). The Apollo car set records at both Germany’s Nurburgring and at the TG test track at Dunsfold Aerodrome in Surrey. The revitalised car is now named the Apollo Arrow and is said to also pack in excess of 550 killerwatts. The original Apollo would see 200 kmh in just 9 seconds from the Audi sourced 4.2L V8, complete with twin turbos as well. Weight was just 1200 kilos. Czech brand and VW owned offshoot, Skoda, is said to be offering something a little different for their forthcoming Octavia and Superb. Wireless smart phone charging is still not common place in the office or home however Skoda will be providing that as an option from April, for the European market. Wireless charging works by an induction process (https://en.wikipedia.org/wiki/Inductive_charging ) with brands such as Samsung, Motorola and LG, amongst others, able to do so. Apple handsets apparently require a special casing, at this stage. 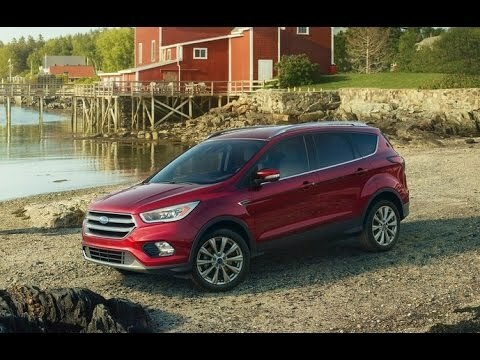 Ford has unveiled a refreshed Kuga; sporting a facelift not unlike Hyundai’s Tucson with an elongated hexagonal grille and redesigned lower front bumper, Ford will also lob the Kuga the updated Sync3 infotainment system, new 17/18/19 inch wheels, a slightly redesigned rear diffuser, a power operated retractable towbar (!) and slimline headlights. A new 1.5L diesel powerplant will also be offered, replacing the older 2.0L, but will provide the same 88kW while offering 4.4L/100 kilometres. Inside, there’ll be a new steering wheel, new aircon controls, a heated tiller for northern hemisphere clients, paddle shifts for the auto gearbox and will add in Android Auto and Apple CarPlay. The more powerful 110kW and 132kW versions of the old 2.0-litre diesel live on, with the latter available with Ford’s new ‘Intelligent’ four-wheel drive that adds torque vectoring and curve control, which are said to help drivers who enter a bend too fast. 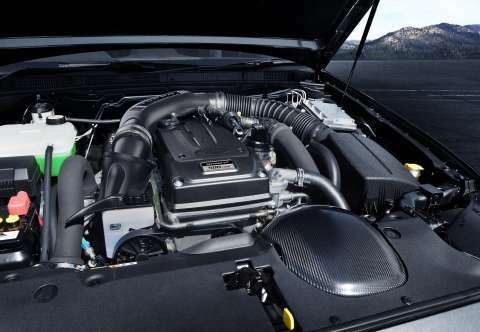 On the petrol side, the 1.5-litre turbo Ecoboost engine with either 88kW, 110kW or 134kW outputs carries over, with the 178kW 2.0-litre EcoBoost dropped from the range. Australia should find out more towards the end of 2016. Private Fleet will bring you more once the show has been started and new info is at hand. The Hybrid III crash test dummy family portrait. I don’t know why trivia books are so popular, but they are. We could spend a bit of time pondering what it is about humanity that makes collecting obscure and quirky facts interesting or amusing. However, that wouldn’t be half as much fun as actually sharing a bit of trivia, taking the topic of car safety this time. Not that car safety is a trivial issue, by any means. These days, a new car review is just as likely to emphasise all the safety features, active and passive, as it is to list the power and torque stats. And no wonder: in the state of Victoria last year, there were 248 fatal road accidents; NSW had 302. Some of these were drivers, some were passengers, some were cyclists and some were pedestrians. This is why safety features exist, everybody. There are a lot of lives that could be saved. When you think about the number of people who do idiot things like not wearing seatbelts, drinking too much and driving at speeds that are just plain too fast for the conditions, “facepalm” and “head-desk” just don’t quite cover it. Top-level crash testing facilities such as MIRA in the UK don’t just crash-test cars. They also test other vehicles like heavy trucks, and “roadside furniture” such as lamp posts and traffic lights. Yes, they now crash-test lamp-posts to make them safer so wrapping your car around a pole is less likely. Don’t hold your breath for them to make it over to Australia for a while yet, though, so drive safely! The first crash test dummy was called “Sierra Sam”. Sam was invented in the late 1940s and was used for testing ejector seats in aircraft. It wasn’t until later that someone realised that using crash test dummies would be a good idea for new car models. The average crash test dummy is 1.78 metres tall. Airbags were first invented in 1952 by US inventor John W Hetrick. However, it wasn’t until 1971 that Ford first actually put them in. The three-point seatbelt that we all know today was invented in 1959 by a guy working for Volvo named Nils Ivar Bohlin. According to Volvo , during the inventor’s lifetime, about 1 million lives were saved by the three-point seatbelt. Let’s all make his name known more widely, because he certainly deserves it. The state of Victoria was the first place in the world to enact seat belt legislation in 1970 when they made it compulsory for drivers and front seat passengers to wear some sort of seat belt. That’s over 40 years ago and some people still haven’t managed to get it. Crash test dummies aren’t the only things strapped into the seats of cars and propelled at speed into an obstacle. Over the years, testers have used human cadavers and, rather nastily, live pigs under anaesthesia. Testing with live anaesthetised animals wasn’t banned until 1993. Cadaver testing sounds pretty macabre and probably is, but is considered to be the absolute best way to test new passive safety features. When you think about it, it’s no worse than donating organs for transplants or donating your body to medical colleges for research purposes and it does help save lives. It certainly beats using the poor old piggies. Airbags inflate at 320 km/h, which is faster than the top speed of most cars they’re installed in. The most common type of crash test dummy is the Hybrid III. To be more accurate, the Hybrid III family is used. This crash test dummy family consists of Mr Hybrid III (five foot nine inches), his big brother Uncle Hybrid III (six foot two), Mrs Hybrid III (five foot no inches) and two kids aged six and three. Mr Hybrid represents the 50th percentile for adults, Uncle is the 95th percentile and Mrs Hybrid is the 5th percentile. Those percentiles mentioned in the snippet above are now out of date. Thanks to galloping obesity (or, more appropriately, not galloping), there’s a chance that crash testing facilities are going to need big fat dummies. Australia’s Ford Territory has been the brand’s local sole large SUV entrant since its release, supplemented by the mid sized Kuga and that car’s predecessor, the Escape. As October 2016 sees the cessation of manufacturing in Australia for Ford, the move to full importation sees world engineered cars arriving in dealerships, such as the rather large Everest. Sister car to the Ranger, it’s built using the same ladder chassis and powered by the torquey (470 of ’em from 1750 to 2500 revs) 3.2L diesel. It’s the range and amount of torque, like the Ranger, that makes this six speed auto equipped beastie an ideal highway cruiser. Settle into the rhythm on the highway and it quietly lopes along with just 2000 revs on the tacho at the legal limit. Overtaking is somewhat of a chore, as the five cylinder diesel gets raucous, the gearbox drops back a gear or two and time stretches out….normal acceleration is the same, from a standing start, with a hard press of the loud pedal creating mucho noise. 100 is seen but count on ten seconds plus if you choose to drive normally. Economy barely crested 9.5L/100 kilometres, staying closer to 9.9L/100 and used in a country highway cycle for perhaps 90% of the week. Having a tank close to the size of a swimming pool will help, however, with an 80 litre receptacle on board to hold the diesel. Get it out on the freeways and highways and the driver, front passenger and rear seat passengers are cossetted with a soft ride, absorbing the lumps, the bumps, the ripples and dips. There’s a sensation of a slow pogo through the bigger dips, however, but the suspension needs to do double duty when you take it off road. The huge twenty inch diameter tyres at 265/50 (The entry level Ambiente gets 17s and mid level Trend rolls on 18s) contribute to the sponginess thanks to the firewall height and 36 psi pressure. The width of the rubber, from Goodyear, adds to the surefootedness of the big car, allowing the driver to feel confident with the grip levels. Steering response is also high, with very little freeplay and a well weighted feel. Bear in mind it’s the same engine and gearbox package as the Ranger Wildtrack and that car’s cousins in 4×4 model range. The Everest moves that up a notch with a selectable range of drive programs, with Mud/Grass/Snow/Rock/Road modes selectable via a dial in the front centre cosnole. As does the Ranger, there’s a lockable rear diff as well. Added tech in the form of Hill Launch Assist and Hill Descent Control backs up the off road cred the Everest has. There’s 225 mm ground clearance and if you wish to take your mountain swimming, there’s a wading depth of 800 mm. All of this will come to naught if the brakes don’t inspire confidence, and they don’t. There’s the same dead inch or so of travel, a light bite and no real sensation of retardation, needing a longer press on the somewhat overly soft pedal. City driving, just like the Ranger, became a mission of planning ahead. With a kerb weigh just shy of 2.5 tonnes, that feeling of when will they bite simply isn’t good enough. Outside, the Everest is big enough to form its own gravitational field. For starters, it stands taller than most people, at 1837 mm tall. It’s wide at 1860 mm (not including mirrors) and is long at 4892 mm, but still a bit shorter than the Ranger. That also translates into plenty of interior room, with the front passengers getting a whopping 1058 mm of legspace whilst the rear seat (middle row, more correctly, as Everest is a big seven seater) get by with 939 mm. There’s 1440 mm of shoulder room at the front, with virtually the same in the back at 1432 mm. Because it makes the TARDIS look small, you need a decent aircon system and Everest Titanium covers this. Controlled in more detail via the touchscreen for the front, there’s also fan speed and temperature control dials on the end of the centre console, next to an overseas style 230V power point. There’s vents in the roof, surrounding the full glass roof, circular and adjustable for direction and flow. Stylewise, the dimensions certainly make the Everest seem imposing; the front end is subtly different from the Ranger, with the headlights taller due to the LED driving lights set into the lower section, plus there’s normal driving lights inset deeply into silverish bumper facade. The grille is heavily chromed and les hexagonal, while at the other end the tail light structure is smoothly rounded, LED lit and display a double U shaped glow at night. Naturally it’s a power tailgate, with keyfob, interior and rear interior operation. It’ll chime politely at you to warn you and has a memory function. The aforementioned 20s have plenty of clearance in the wheel well, again due to the expected off road prowess. The guards around the wheel wells have a fluidity to them, a smooth and almost organic style, bisected nicely by the running boards between front and rear. The window line is around chest height for the passengers, so there’s plenty of easy viewing and balances the exterior’s vertical styling as it gently rises into the rear pillar. The interior’s colour scheme was a surprise, being a dullish battleship grey theme, rather than black on black or black versus something light. The plastic wood trim didn’t quite fit the colour scheme, in A Wheel Thing’s opinion and the Everest logo on the passenger side glovebox looked decidedly American. Although the front seats were leather and heated, cooling wasn’t an option and that’s an oversight for the Aussie market. Being Ranger derived as it is, the dash is a direct lift, with the same LCD screens either side of speedo, the same options available via steering wheel tabs, with the addition of roll and yaw angles. You’ve got the same blindingly simple to use but fingerprint attracting touchscreen, four quartered, with Navigation, audio (including DAB), aircon and Bluetooth pairing of the smart phones. And here’s a story…loaded up the phone with music and hadn’t paired the phone with the car. The voice controlled Sync2 system only picked up the three tunes that were on the phone before more was added but after a reboot of the handset saw them all….and would only play for four minutes before disengaging. Using the USB port was problematic as well, as the connections also disengaged, possibily moreso due to the ride quality over a very bumpy tarmac road. The middle row seats are tilt fold, via a lever on the side and add to the capaciouscargo space available, with up to 2010 litres on offer. With the third row in use, there’s still a handy 450 litres. Said third row are also power operated, in keeping with the Everest Titanium’s luxury aspirations. Given the family aspect of the Everest, it was a shame to not find a coolbox, rear window blinds, perhaps even a roof mounted DVD/Blu-ray player. Compared to the Kia Carnival Platinum, which is as likely to see off road action as the Everest, and has those features, they’re glaring oversights. At least there’s lane keeping assist, parallel park assist, tyre pressure monitoring, blind spot monitoring and forward collision alert, along with airbags all around including driver’s knee and curtain side ‘bags to keep the family well wrapped should things go awry. For extra peace of mind, there’s the three year/100,000 kilometre warranty, five year perforation warranty and twelve month/15,000 kilometre service intervals plus complimentary roadside assist for twelve months. A Wheel Thing found the Everest Titanium to be a frustratingly mixed bag and of questionable value. With a driveaway price at around the eighty thousand mark, an interior not quite up to the grade you can get from BMW, Audi, Volvo and even Kia’s Platinum Carnival for the price being asked, sluggish acceleration, those frankly crap brakes, against a drive system that you could find in a Land or Range Rover, the grip levels, the fact you could almost live inside it due to the interior room, it tries to be the best of a broad spectrum and doesn’t deliver. One can only imagine how the resale value will go against the others as well. A Sprint to the Finish for Ford Australia’s Falcon. As October 2016 draws inexorably closer, the date set by Ford Australia to cease local manufacturing, the boxes of tissues are being stockpiled by the Ford faithful. But, for some, there won’t be just tears of sadness but tears of joy and, perhaps, a few born of anger and frustration. Why? Aussies will see Ford sign off on the Falcon nameplate by resurrecting one with more than a hint of history. 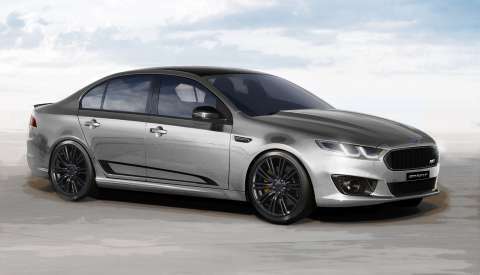 May 2015 will see the Ford Falcon Sprint go on sale, in a strictly limited numbers run of just 1400 cars. There will be 550 XR6 spec Sprints, 850 XR8 spec Sprints and there’ll be 150 cars, (50 XR6, 100 XR8) allocated to our Kiwi cousins. Prices will start from $54990 (plus on road costs or ORC) for the XR6, so what will the canny investor get for their sheckels? Each car will get an individually numbered plate confirming it was part of the build. There’s a specially Sprint calibrated 5.0L V8 with 345 kW and 575 torques. Of note will be the range that torque is to be made available. It’ll start from 2220 revs and will stay there through to 6250. Adding to the expected genuflecting purists will exhibit will be the transmissions. Yes, transmissions plural. If Sir has three legs there’s a proper gearbox, a manual, or for easy as you go driving, a six speed auto. It’s auto only for the XR6 Sprint, with the turboed 4.0L offering up 325 kW and a hardly shy 576 Nm at 2750 rpm. The auto will be recalibrated to take advantage of the near V8 Supercar torque. Both XR6 Sprint and XR8 Sprint will be able to momentarily top those numbers, with 370 kW and 650 Nm on overboost for the six, whilst the big vee will go to 400 kW and the same torque. There’ll be uprated brakes from Brembo (six and four spot calipers, front and rear), blacked out headlight bezels, 19 inch diameter black painted wheels, a black rear decklid spoiler and blacket out foglight surrounds. In addition, the XR8 Sprint will also receive a Silhouette black roof and wing mirrors. The XR6 external indicator light will move to teh wing mirror and the cars will be given Sprint scuff plates in the door section. There’ll be just six colours on offer, with metallic such as Victory Gold a mere $500 premium. The interior also gets an overhaul, with Sprint leather and suede trim for the pews, auto dimming rear vision mirror, bespoke trim for the instrument cluster, high end audio and a Sprint labelled head for the manual’s gear selector. Sprint specific decals will adorn the exterior and the wheels will also be different widths front to rear. The manual XR8 Sprint will be priced at $59990 +ORC with the self shifter at $62190 + ORC. Yes, October 2016 is on its way but there’s no doubt that this farewell from Ford Australia will put the Falcon Sprint well into the history books as possibly the best Falcons ever to be built. Ford‘s big and (in 4wd configuration) off road capable ute, the Ranger, comes in many forms. There’s two doors, four doors, cab chassis, trayback style, petrol diesel, maual and auto. It’s been a big success and has spawned the Everest SUV. A Wheel Thing takes on an old favourite, (2012 Ford Ranger Wildtrak) the Wildtrak 3.2L diesel with six speed auto. There’s plenty of grunt from the five cylinder engine, with a whopping 470 Nm of torque between 1750 and 2500 rpm. There’s 280 torques already on tap at just over 1000 rpm. Peak power, 147 kW, arrives at 3000, meaning that it’s a low stress engine at the best of times. The easy natured auto slurs its way through the ratios without fuss and without noticeable changes, even when pushed hard. As the dash features two electronic screens either side of the analogue speedo, you have a choice of information available, including a digital tacho, which is generally the only time you’ll see something indicate a gear change. There’s an audible change, but under light acceleration barely noticeable. Economy? Ford quotes 9.0L/100 kilometres for the combined cycle. Staying with the utalitarian idealism of the Ranger, there’s no paddle shifts to complement the sports shift mode. There’s also no push button Start/Stop, no window blinds and no rear aircon vents from the centre console. A sunroof is conspicuous by its absence…USB and Auxiliary ports are located in a low set compartment ahead of the gear selector but none in the console storage locker. There are two 12V sockets in the front, one in the rear and a 230V socket as well, handy for a car fridge or other eletrical items whilst on the go. Glovebox wise, it’s big, deep, with enough room to hold a laptop. The ergonomics of the dash, where the aircon controls are (set low down well out of a safe eyeline), initially seemed out of whack, until you realise that there’s the touchscreen holding more controls. Fan speed, temperature, seat heating, dual or single zone, they’re all controled from here, as are audio, phone and navigation, including real time traffic alerts. There’s even the ability to partner a smartphone to create a local wifi hotspot. There’s Ford’s Sync system, which allows Bluetooth music streaming and voice activation for controls. Downside? The screen is a fingerprint magnet. The aforementioned screens give you a list of Navigation, Entertainment on the left and a range of stylish looks such as a rotary dial for the tacho, engine temperature, distance to empty, trip metre, consumption etc on the right. The screens are in full colour but the plastic reflects light at certain angles, making them hard to read. The interior is a decent place, with the Wildtrak logo on display in the seat’s cloth, with the trim a somewhat lairy orange hue compared to the sea grey and charcoal plastics, with orange stitching on the dash. Supportive, confortable, easily adjustable in the front (Wildtrak is the only Ranger variant to get electric seating) and a reasonable amount of legroom and shoulder room in the rear (902 mm, 1430 mm), they suit the Ranger’s driving characteristics nicely. On tarmac it’s a touch uncomfortable in its sponginess. High sidewall Bridgestone Dueller tyres at the recommended 32 PSI contributed to this, with an increase to 36 dialling out some of the bounce. Although ostensibly a “tradie’s ute” it’s also a superb off roader. Yup, there’s a proper transfer case in this big lummox, with the ability to take that 470 torques and twist the the near 2.3 tonne behemoth along a gravel or dirt or muddy or stone road (or a combination thereof) without blinking. Yes, it is that good for a “tradie’s ute”. The lightweight yet talkative steering is ideal for off roading; a gentle grip on the wheel, enough to stop or slide as required and the Wildtrak tells you where the front is and what the chunky rubber is doing. In 4WD high range, available “on the fly” via a rotary dial, along with a lockable rear diff (there’s hill descent control to play with as well), the Wildtrak will crawl through and or over most obstacles the average four wheel driver will see. The tiller moves of its own accord as the front seeks out the ideal path, allowing the driver to get a real sense of the terrain as it works back and forth. She’s a big ‘un, the Ranger, with a total length of 5355 mm. It towers over most, at 1848 mm, and takes up some acreage on the road at 2163 mm wide (including mirrors) with the stability on road helped alomg with a massive 3120 mm wheelbase. There’s 18 x 8 alloys, with 265 width tyres to roll on. 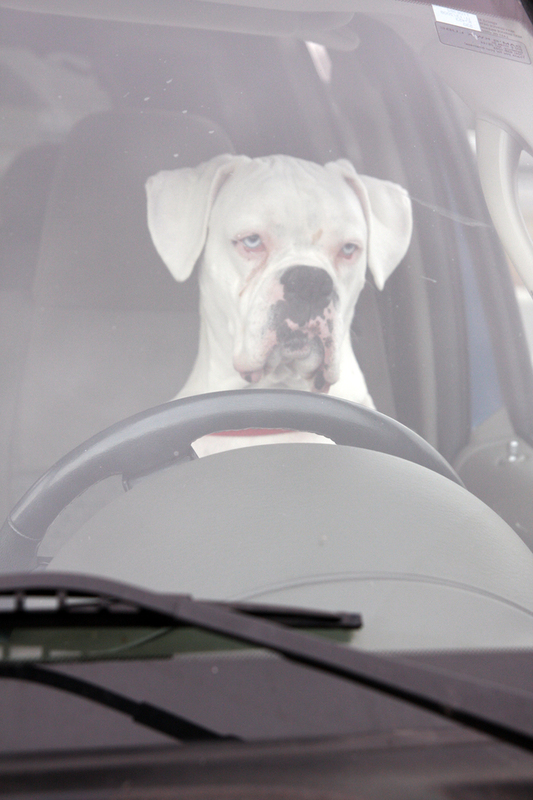 Press the pedal and….nothing. There’s something close to an inch of travel before any bite is felt and before there’s any sense of retardation. The pucker factor is high with this one; city traffic became an exercise in forward planning, needing to consider the lack of stoppage of forward motion when dealing with those that found a sudden sideways movement into the two centimetres of space ahead an urgency or coming to traffic lights whilst the demonic gleam from the eyes of the driver behind shone bright in the rear vision mirror. Better brake feel is needed in the Ranger Wildtrak, given its ability to carry up to 1450 kilos in the plastic lined tray. Those in front, though, would have their mirrors full of the redesigned front end. The slim line headlights replace the squarish, broader design, the American influence stands out with the hexagonal grille but to see the Ranger from any other angle would neccessitate a head scratch and a good think about what’s new. In profile and from the rear, only an “anorak” would be able to pint out the differences between the 2015 and 2013 Ranger Wildtrack. Colour wise, the test car came clad in a bright, don’t lose it in the carpark, Pride Orange. There’s the same bluff rear end, same tail lights, same pull the strap aluminuim hard cover for the tray, with the rear lights still globe lit, not LED. But if Sir wishes to tow, there’s now 3.5 tonnes Sir can have tag along with trailer sway mitigation built in. The rear tray does, however, now gets downlights in the rollbar to assist with night work. For peace of mind, there’s Ford’s 3 year/100,000 kilometre warranty with service intervals of 15,000 k’s or 12 months. Get a scratch or two and there’s a five year perforation warranty. Something awry happen? You’ll also get a 12 month roadside assist package via your local auto club. Safety levels are amped to eleven; you’ve got adaptive cruise contyrol, forward collision alert, parking sensors front and rear plus reverse camera, lane keeping alert, blind spot alerts, auto headlights and rain sensing wipers, roll over mitigation, emergency brake assist, hill launch assist, plus the usual suite of airbags and electronic driver aids. There’s a more purposeful look at the front end but the rear needs a tickle up. Even the front guard inserts are the same as the previous model. Interior ergonomics are ok but if you’re old school and like using buttons and not a touchscreen, then the location of the aircon controls aren’t ideal. Ride quality is fine but the brakes arent. Thinking twoing and payload and needing to push the brakes hard to get a reaction. There’s heaps of room though, interior comfort, enough tech to play with but for A Wheel Thing it’s the off road ability, that probably will be barely though about by most, that sells the Ranger Wildtrak. That’s an ask though, as at the time of writing there’s a near as dammit $63K price being asked for the Wildtrak. 2015 Ford Ranger range will help you decide. Green light for parallel import cars – a tale of two stories? With the Federal Government announcing on Tuesday that it will allow parallel vehicles to be imported from 2018, it would seem the news is largely exciting for motorists on the face of things. But will it all be one way traffic? First, it’s important to note these changes need to pass through parliament later this year and would only commence once local manufacturing ceases in 2017 – whether that jeopardises the recent efforts of Guido Dumarey to salvage the Holden Elizabeth manufacturing plant remain to be seen. The legislation would allow car (and bike) enthusiasts to directly import right-hand drive models from the UK and Japan that are either new or near-new, in which case the vehicle must be less than 12 months old and with less than 500km on the clock – such imports would be allowed once every two years. Japan is one location from where consumers would be able to import cars – are prices likely to be cheaper though? Predictably, automotive manufacturers and local dealers have made their frustrations clear, quizzical about why the government would allow customers to circumvent legislation designed to benefit them through warranty and against recalls – also citing concerns around the impact on jobs, car specifications, durability, and lifetime costs. At first, some of these concerns would seem partly valid – for example, as cars age and transfer between users, inevitably they will require parts that aren’t available locally and may be expensive or difficult to source – which could in turn compromise the maintenance standards of said vehicles. With recalls, such as the one affecting cars equipped with Takata airbags, consumers will be left in the dark to find out about their problem, yet alone solve it. On warranty matters, who or where does a customer turn to? What about cars built to specifications that are vastly different from Australia’s testing climate? 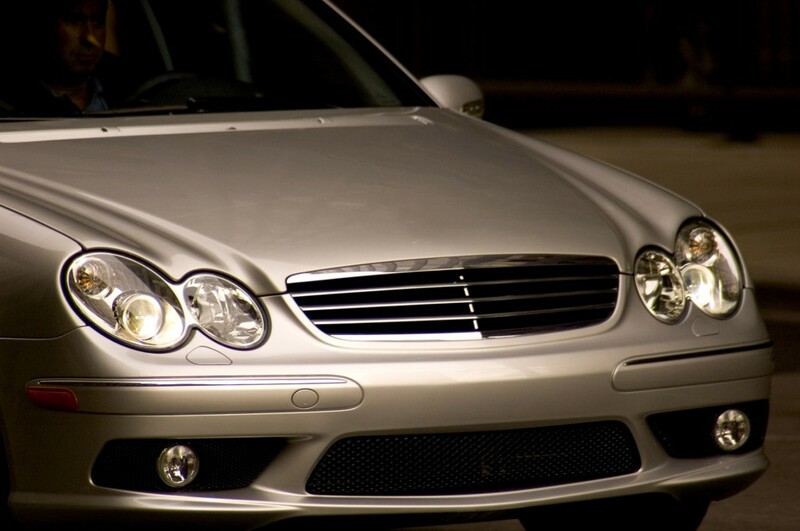 The luxury car tax will still apply, so wouldn’t it be better to do away with that instead? Pursuing this line of logic, we fail to address consumers’ rights to shop around for their vehicle (let’s not forget, Australia’s car market is often an afterthought to manufacturers), and in doing so be afforded the opportunity to buy unique cars or save money. Of course, once taxation and shipping are included, your ‘mainstream’ car probably won’t be cheaper – it is also doubtful local prices (or jobs) will decline, as uptake is not expected to create sufficient pressure – however, those in ‘luxury’ or ‘hobby’ segments stand to benefit, and they’re the ones most interested in keeping their vehicle to the highest standards – thus maintenance concerns are overblown. Regarding consumer protection, the government has indicated some degree of risk on the part of the consumer but it is not without looking into solutions, suggesting: car inspections before being released onto roads; an online database requiring all imports be detailed to facilitate recalls; insurance companies would be able to provide warranty insurances. What one must consider, is that amongst those affected by the changes, there are many car enthusiasts who already import cars not available locally – not a whole lot is likely to change in the way of consumer protection for that segment. For other segments, with Australian consumer law for ‘lemon’ cars being relatively weak (remember the ‘Destroy my Jeep’ campaign? ), such concerns by auto manufacturers would be better directed at improving local protection. While debate will continue, it is clear there is still a lot of fine-tuning required before the changes can become practical to the everyday customer. Whether that means the age of eligible cars is extended to pressure local prices, or luxury car taxes are reviewed, the important point is that we’re now talking about the issue. What Bits Keep Me on the Road? What does keep a car on the road? When you have a one-to-two tonne large metal object travelling down a road at speed, what are the bits that enable the car to remain in control and in contact with the road? Yes, the driver is able to steer the car in the right direction when guiding the vehicle via the steering mechanism and the steering wheel, but there are other very important components in a car’s suspension that work in unison to hold the car on the road and keep the ride comfortable. A suspension on a car is hugely important in that it separates the car’s occupants from the road and smooths out the ride over the bumps in the road. A car’s springs absorb the bumps, and they come in three types: coil springs, torsion bars and leaf springs. Shock absorbers (or dampers) have two main functions. They also work to absorb any big bumps in the road so the speed at which the upward direction of the wheel over the bump is absorbed or slowed down. Shock absorbers also push the wheel back down onto the road to keep the wheel planted on the road for maximum grip. Shock absorbers also have plenty of upward and downward travel to ride the wheel up and over bumps or drop the wheels down into holes. Also an integral part of the suspension, are the rubber grommets which separate a lot of the parts of your suspension from each other. Obviously, they also hold components together and thus the rubber grommets link an A-Arm with the sub-frame or are used on anti-roll bar links and mountings for example. The harder the material make-up of the bushes, then the harder the ride becomes for the occupants in the cabin. Suspension types are mainly grouped as being dependent and independent. However, even independent systems are typically joined across the car by an anti-roll bar and so are not truly independent. Independent suspensions are named because their same axle wheel’s suspension systems are independent of each other. A hydrolastic suspension is a suspension system where the front and rear suspension systems are connected together in order to keep the car level when driving over bumps. The front and rear suspension units have hydrolastic displacers, one unit per side. A hydrolastic suspension provides a nice soft ride, and the hydrogas suspension is an evolution of the hydrolastic suspension. The Hydropneumatic suspension is a fabulous hydro-linked system used by Citroen where the suspension includes the brakes and steering as well as the suspension itself. The fundamental technology of the Hydropneumatic suspension is hydraulics. The fluid’s interaction with a pressurised gas creates a superbly smooth ride. A well set up air suspension system can better the mechanised metal spring suspension in most situations. As found in the new BMW cars, the luxurious, smooth and supple ride is superior. It’s also found in large logistics trucks. With the advent of computer-controlled suspension systems, the anti-roll bar is no longer needed. The computerised system uses sensors to rapidly adapt a car’s suspension to changing road surfaces. Ride height sensors and self-levelling systems mated to the suspension componentry also works to keep the suspension taut and the body roll to a minimum in the corners. Next time you’re in your car, I’ll bet you’ll be thinking a little more about what the suspension is doing in conjunction with your tyres to keep you on the road. Remember though, the safest way to stay on the road is to keep your speed appropriate to the road conditions. You might like to shed some more light on the subject. I know that Audi even uses a Magnetic fluid in some of their cars to create a good ride.